Ujjwal Tyagi from Ghaziabad, B.E. - B.Tech Graduate. MARKETING AND SALE INTERNATIONAL AND DO.. INTERNATIONAL MARKET.. POWERPOINT PRESENTAT.. CLIENT & PARTNER REL..
are one of expert skill area's of Ujjwal Tyagi . 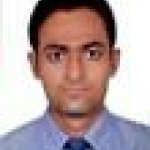 Ujjwal Tyagi is working in Production/Manufacturing/Maintenance industry.